Unless you went to culinary school, chances are you probably aren’t fully aware of how important it is to match knives to particular cooking tasks. For example, it can be tempting to use a utility knife—used for general tasks like cleaning fish or cutting cords—for paring or slicing, but two other kinds of knives are made for these purposes. 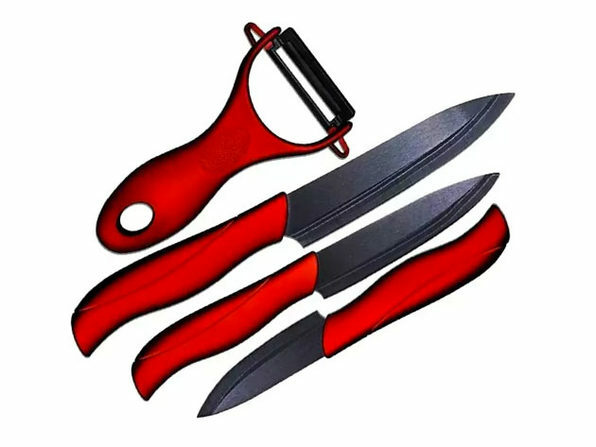 This 4-Piece set will ensure you have the right kind of knife for every task under the sun, and right now you can snag it for just $26.99 after 73% off. They also throw in a peeler. The knives are made with resilient ceramic blades and come in 3, 4 and 5 inches. Covers are included, and with this kit you’ll be able to tackle and meat or vegetables under the sun. Check out the 73%-off kit now for just $26.99 at the shop.